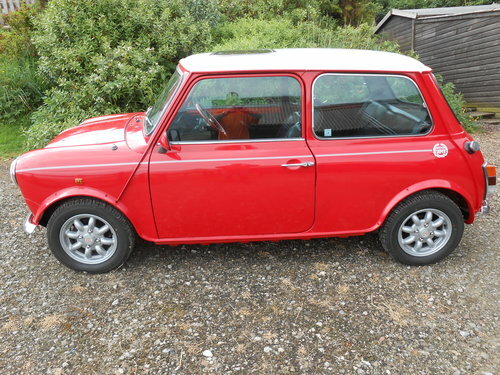 Mini Cooper RSP 1990.Excellent mechanics and bodywork.Owned since April 2015.Restoration work was completed prior to my ownership!Five new tyres and wheels professionally refurbished.Drives as it should!Lots of invoices and old MOTs & tax discs. Very strong engine and box! When restored paint was finished in cellulose and to be quiet honest a respray is required! Roof is original!No time wasters please!! !Feel free to email.Genuine RSP! Also states on the V5.Possible p/ex.